Certikin and Maytronics, the world-famous manufacturer of Dolphin pool cleaners, have signed a new three-year distribution agreement. The deal between the two businesses – which have been working together for 25 years – secures the supply of the Dolphin range to the commercial and domestic UK market. Certikin boasts the UK’s only Dolphin service centre as well as a spares holding capacity for machines of all ages. Certikin Sales Director, Richard Way, says: "The Dolphin range is one of Certikin’s best-selling lines. They are superbly crafted machines and no other cleaner approaches their cleaning capacity and technology. Maytronics are a great company to work with and we believe that this special bond will continue for many years to come." Certikin offers an extensive range of Dolphins and for 2012 has introduced two new cleaners. The Dolphin Bio-Suction is designed especially for bio and natural pools and is the first automated solution for maintaining pools of this kind, which purify water using natural processes based on plants and micro-organisms. The Dolphin Bio combines the best of proven Dolphin technology with additional features that address the special challenges of eco-pools. 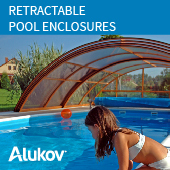 It delivers top-of-the-line cleaning performance for pools up to 15m long. It complements the purifying action of the regeneration area by efficiently removing leaves and other debris using either internal filtering or external suction and scrubbing the floor, walls and waterline. 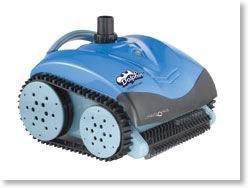 The second addition is the M5 Liberty – a unique cordless, battery-powered robotic cleaner, for pools up to 15metres that are irregularly shaped and/or have in-pool obstacles, such as islands, pillars and bridges. Powered by a Lithium ion battery, it is super-easy to use and maintain and is fast and easy to recharge An integrated gyro enhances scanning efficiency and maneuverability. 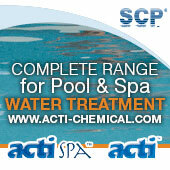 A dual-level filtration system covers all pool conditions. An ultra-fine cartridge for day-to-day cleaning collects fine dust particles and a wide mesh net collects leaves and rough debris.